A range of AES intercoms GSM, Wireless and Video, with and without keypad entry. These intercoms can be used with any of our gate automation kits. Select view more to see all available information about these kits. A range of video intercoms, with and without keypad entry. A range of audio intercoms, with and without keypad entry. A range of GSM intercoms, with and without keypad entry. 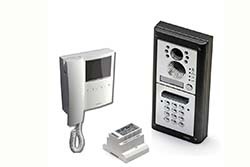 A range of wireless intercoms, with and without keypad entry. A range of numbered keypads for coded entry. Select view more to see all available information about these products. Select view more to see all available information about this product. A range of wireless numbered keypads for coded entry.